Meet the experienced yacht insurance staff at Lucantha Marine Insurance. Our brokers and agents rely on our knowledge and experience as one of the leading intermediary yacht insurance brokers in the industry today. Formerly the Maine Division of International Special Risks, Inc., Lucantha Marine Insurance was established in 2013 by Tabby Watt and continues to provide the same outstanding service and specialized knowledge to agents in the marine insurance industry. Tabby Watt's long career in yacht and commercial marine insurance began in 1988 while finishing up her Bachelor Degree at the University of Maine while working part time for International Special Risks, Inc. (ISR) in Lynnfield, MA. In 1989, she joined ISR full-time in a small Portland, Maine waterfront office with the goal of expanding ISR’s existing yacht business and, in 2008, Tabby relocated the Yacht Division to the Pineland Campus in New Gloucester to accomodate a growing company of marine insurance professionals. With Tabby at the helm as a Managing Partner, ISR's Maine Division became one of the largest intermediary marine insurance brokerages in the country writing a multi-million dollar book of business. In 2013, the Maine division went to the next level as its own agency and Lucantha Marine Insurance was created. With the same goals of providing outstanding customer service and unparalled market access to their agents, Lucantha Marine Insurance remains an influential marine insurance intermediary writing business worldwide. Tabby’s marine underwriting knowledge and industry relationships among underwriters, insurance brokers, reinsurers, clients, captains, sportfish tournament directors, builders and yacht brokers alike brings Lucantha Marine Insurance to the forefront of both the luxury and sportfish insurance markets. Her outstanding reputation for diligent and thorough underwriting allows her to gain underwriting, binding and issuance authority with well respected carriers. Tabby is also recognized within the industry for her ability to create exclusive program business to benefit the carriers, agents and clients who partner with Lucantha Marine Insurance. 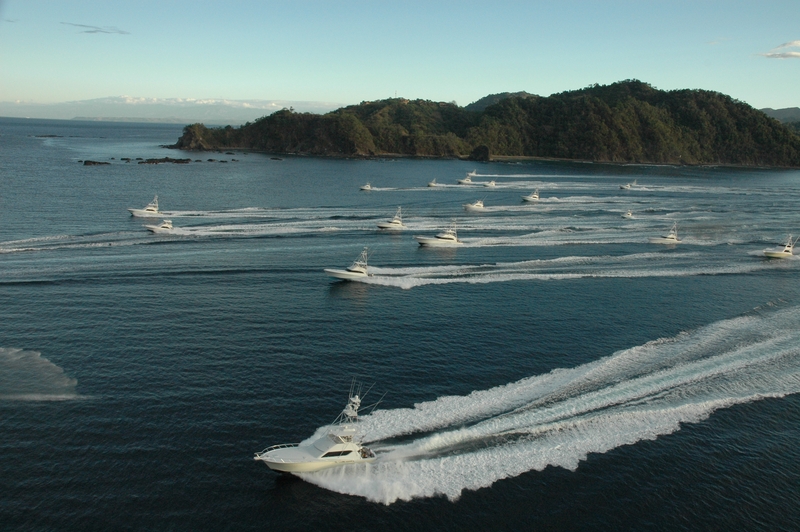 Tabby is an active participant on the tournament fishing circuit and, over the years, has proudly involved the company as presenting sponsors of the Los Suenos Signature Billfish Series, the Bahamas Billfish Championship (BBC) Series and the Custom Shootout. Tabby is also a participating sponsor of the Mariner’s Club Marine Seminar. She attends various boat shows across the country and throughout the year. Through Lucantha Marine Insurance, Tabby supports the American Institute Marine Underwriters (AIMU), the International Game Fish Association (IGFA) and the Billfish Foundation. Frank Micari is the most recent addition to the Lucantha Marine Insurance staff. As the Claim Manager for Lucantha beginning January 2016, Frank brings a fresh perspective and decades of marine industry experience to our Claim Management Services division. For the past 10 years, Frank has held the challenging, multi-faceted position of Claims Manager for AIG Global Marine. A graduate of Suny Maritime College, Frank began his career in the marine industry as a surveyor. From 1975 to 2001, he performed maritime surveys for various companies until, as a career change, he joined Royal Marine Insurance in 2001 as a Marine Claims Adjuster. His detailed and knowledgeable approach to claims adjusting, first at Royal and subsequently at AIG, has won him the respect of his industry colleagues and competitors alike. The many skills Frank brings to Lucantha Marine Insurance, not to mention his 40+ years of marine industry experience, underlines our dedication to providing outstanding Claim Management Services. Matt Campbell came to our company in 2011 to build and service our commercial marine book of business. In addition to his duties with Lucantha Marine Insurance’s commercial marine book, Matt is also responsible for servicing a book of yacht renewal accounts. Matt is the principal contact for our Starr Marine Six-Pack Charter Boat Program. Matt works closely with our yacht agents to round out their books providing coverage for their commercial recreational marine risks. Matt came to us from International Marine Underwriters (IMU), the Northeast Region office in Boston, MA, where he worked as a Commercial Accounts Underwriter since 2005, specializing in commercial Hull/P&I, Marine Liabilities, Excess Marine Liabilities, Marine Contractors and Marina/Yacht Club package business, and also managed two large books of charter/fishing vessels. In 2002, Matt worked for 3 years as a recreational marine underwriter for ACE in their Portland, ME office. Matt has been in the marine insurance industry since late 1997, when he joined the Ocean Marine department of Acadia Insurance as an Underwriting Assistant. He was promoted to Underwriter writing both recreational and commercial marine business. Matt is a graduate of the University of Maine. Currently, Jessica Waterhouse is a member of the New Business Team, managing clearance and producer assignments for new business submissions, while marketing and writing her own book of business. Jessica takes the lead on Lucantha's marketing projects creating advertisements, news releases, website development and social media management. Jessica is also the in-house IT coordinator who troubleshoots technical issues while constantly looking for ways to make Lucantha more efficient and productive. Prior to Jessica’s role on the New Business team, she joined Lucantha in 2007 as a member of the Renewal Team, where she serviced a book of yacht renewals. She performed in house underwriting and policy issuance. Before joining us in 2007, Jessica worked for Marsh & McLennan Specialty Yacht Practice as a licensed producer for three years. Jessica also helped run her family-owned and operated company, The B.A.S.S. Group, as a Section 125 Plan Administrator and Benefits Manager. A graduate of Berklee College of Music’s Business Program in 1995, Jessica worked as a personal assistant at Ted Kurland Associates, a prominent jazz booking and management company for five years prior to relocating to Maine to be near family. The Lucantha Marina Insurance staff was pleased to welcome Carrie Nason in 2012, considering her long career history as a Property & Casualty Underwriter. Initially joining us on the New Business Team, Carrie quickly transitioned to her current position on the Renewal Team where she is responsible for marketing, servicing and policy issuance of a large renewal book. She comes to us from Acadia Insurance, where she was a Property & Casualty underwriter since 2003 in their Westbrook, ME offices. Carrie's background includes more than twenty years of experience in P&C, Workers Compensation underwriting and Quality Assurance for multiple insurance carriers. In 2001, Carrie made a transition into Quality Assurance at One Beacon Insurance heading up Agent Training on their new Commercial Lines Platform. In 1992 led Carrie to join start-up MEMIC’s Worker’s Compensation Underwriting Department as one of their first underwriters. Carrier began her career in Assigned Risk at Commercial Union in 1989. She is currently pursuing an Associate in Risk Management designation and she holds a Bachelor degree from Husson University in Business Administration. Lucantha is an intermediary insurance broker specializing in yacht, charter & commercial marine risks throughout the US & worldwide.